Diontre is using Smore newsletters to spread the word online. 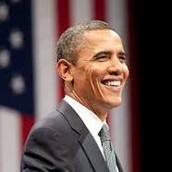 Federal executive powers rest within the hands of the United States President which is currently President Obama. The main function of the Executive Branch is to enforce laws created by congress. Roles of the President include; Chief Executive, enforcing laws made by congress, Head of State, representing the nation and performs many ceremonial roles, Chief Legislator, proposes the legislation they wish to see enacted, Economic Planner, submits an annual economic report to congress, Party Leader, gives speeches to help promote party members running for office, Chief Diplomat, controls foreign policies, and Commander in Chief, makes military decisions. The major departments that make up the departments of that make up the President's Cabinet are the United States Vice President, Department of State, Department of treasury, Department of Defense, and the Department of justice. State Executive power is given to the states governor, which is Larry Hogan. The function of the State Executive Branch is to enforce laws within the state. 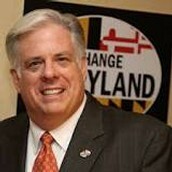 Governor of Maryland, also keeps the phrase 'Living Like Larry' alive.